$325.00 Click for price What's this? The Titleist 917 F2 Fairway Woods are designed to produce incredible ball speeds and lower spins for longer carries from a variety of lies. The Active Recoil Channel 2.0 features an elastomer insert to lower the center of gravity to give you maxiumum forgiveness and incredibly low spin. The variable face thickness features a thinner perimeter to produce more consistent ball flights on miss-hits. Titleist 917 F2 Fairway Woods are a great option for players of all skill levels looking for a very forgiving fairway wood with 16 loft and lie settings for customized ball flights. Great product fast friendly service, No complaints! Awesome club and fast shipping!! Awesome club and fast shipping!! 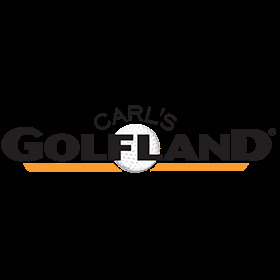 Carls is great to order from. By far best experience online shopping for golf equipment. Best prices and discount. Shipping is always fast. Can't ask for much more. Q: Do any extra weights come with this or is it only the neutral? A: No extra weights are included. You can adjust the hosel for loft and lie settings.